A huge earthquake of magnitude 8.2, reduced by USGS to a mag 7.9 struck 256 km (157 miles) southeast of Chiniak, Alaska at a depth of 10 km this morning. A tsunami warning for southern Alaska and the entire western coast of Canada and the US has been issued. Officials in Anchorage warned coastal areas, saying there was "extraordinary threat to life or property". The alert told people to seek refuge on higher ground in affected areas. 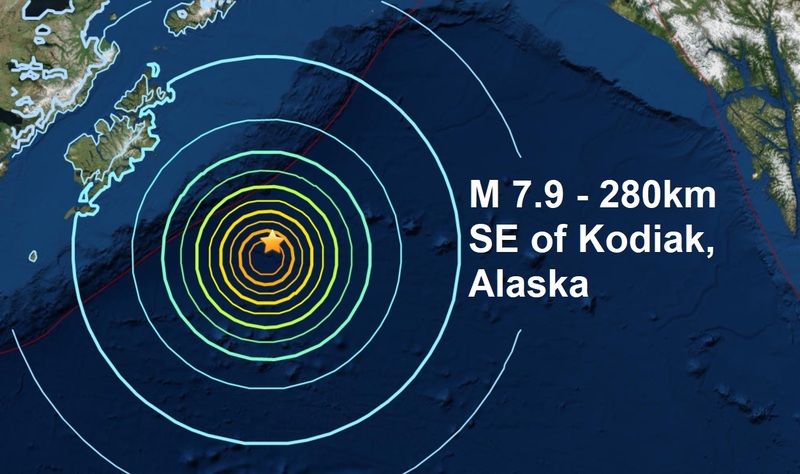 Tsunami sirens could be heard in Kodiak. 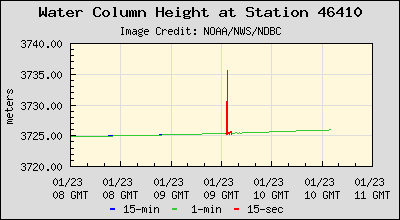 The National Dater Buoy Centre shows a huge spike in the sea as the quake struck in the area of Kodiak, see below. The magnitude 7.9 off the coast of Alaska is the second major quake today after a mag 6.1, reduced by USGS to a mag 6.0 hit Indonesia this morning, it brings the total to seven major quakes this month and 7 for 2018. For the second day in a row, a stream of solar wind is blowing around Earth faster than 500 km/s (1.1 million mph) as the coronal hole begins to turn away from facing Earth. All seven major quakes this year have come as a coronal hole faced the Earth. 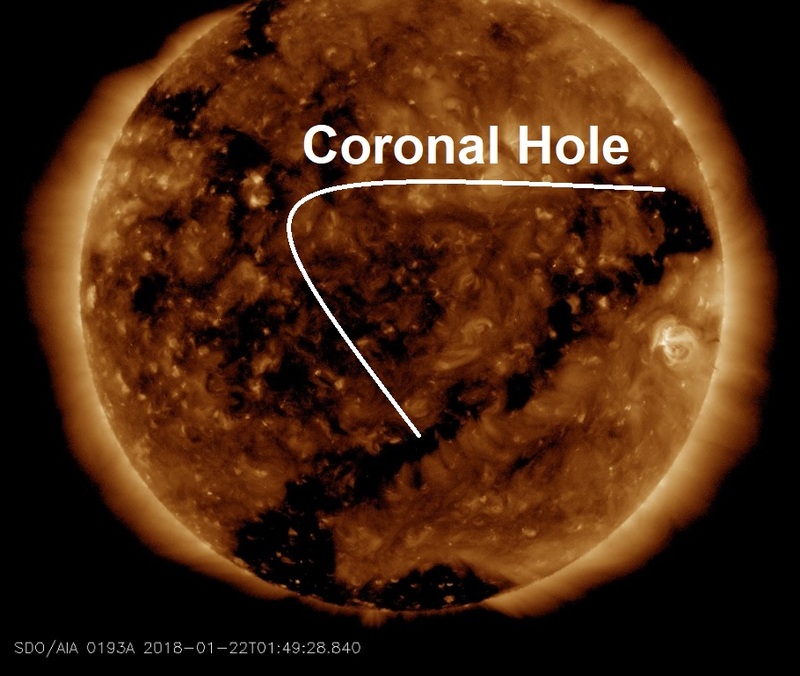 It is a Big Wobble project this year to document just how many major quakes occur during a coronal hole facing Earth, so far, it's 7 from 7, 100 %.